There are a lot of precedents for this kind of long exposure photography. I have already talked about Hiroshi Sugimoto and his stunning long exposures of the insides of movie theaters. I was familiar with Sugimoto’s work before starting this project and the initial idea was simply to do for music venues what Sugimoto had done for movie theaters. Sugimoto would open his shutter at the start of the film and close it at the end. I open the shutter at the start of the song and close it at the end. 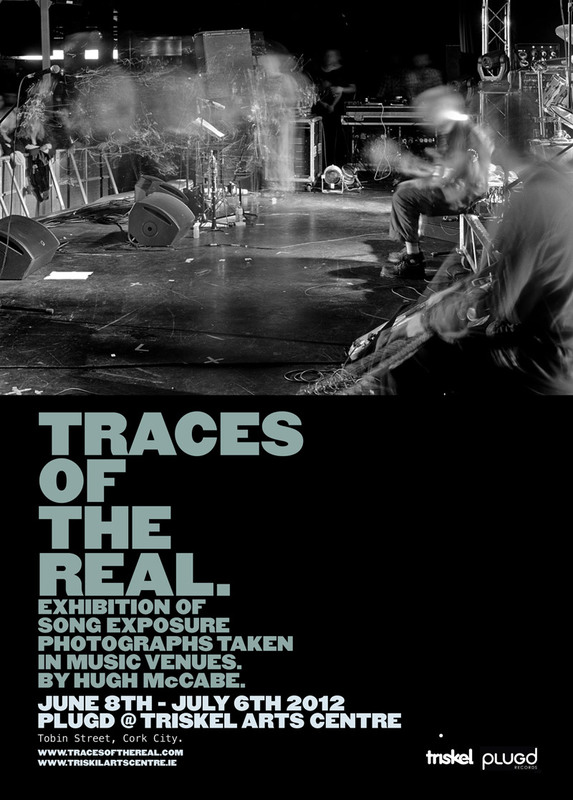 Now and again though I come across other examples of long exposure photography that I wasn’t aware of initially. Some of them are much older than Sugimoto’s work, and in fact long exposures were common enough in the early days of photography. They didn’t have the wide apertures and fast films or sensors that modern photographers are used to, and hence used to often have to employ long exposure times to register the image properly. Early photographic portraiture is full of rigid, stilted subjects, rendered that way because of the necessity of holding themselves still for ten, twenty seconds, or more. Others however saw the long exposure not as a problem to be overcome, but as an interesting visual technique in it’s own right, and recognized that this method opened up a new way of seeing the world. 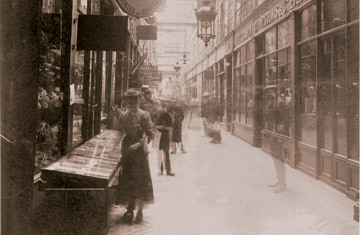 Eugene Atget‘s images of Paris were done with extended exposure times and this often had the effect of leaving the streets eerily deserted, or rendering those pedestrians who paused long enough in front of the lens to register as no more than ghostly blurs. Another example is the work of the brothers Anton Giulio and Arturo Bragaglia who were part of the Italian Futurist movement (1909-1916). 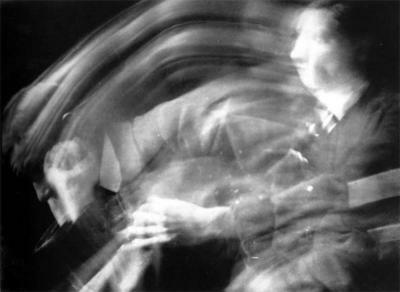 The Bragaglia brothers employed a technique that they called photodynamism where they took long exposures of moving objects. The Bragaglia’s have many images like the one above, and the visual parallels with some of my pictures are quite striking. They even have created some of musicians playing. 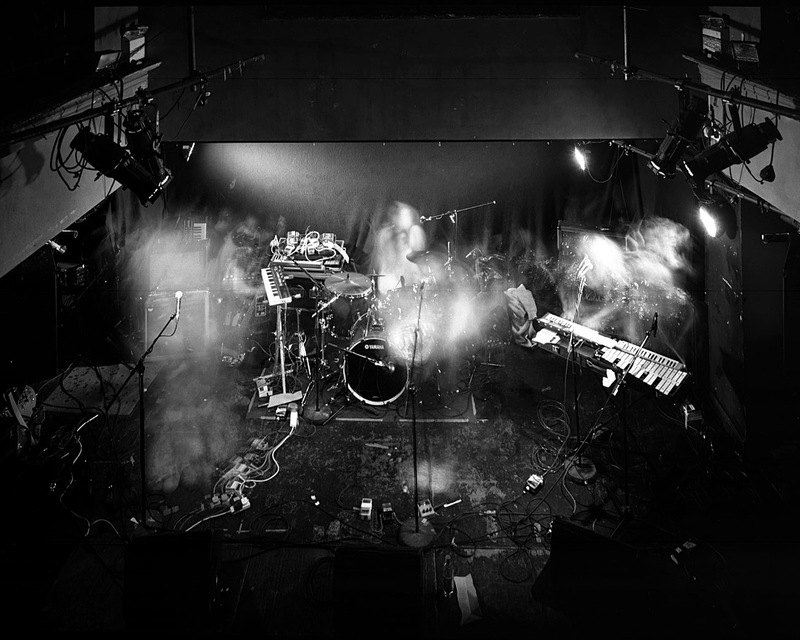 The picture at the top of this post is one I took of Grand Pocket Orchestra playing in Whelans a few weeks ago. If you cropped out everything except for the keyboard player on the right it could almost pass for a Bragaglia. Another comment, it’s a very interesting blog Hugh. You remember the first ‘street photograph’ of the rue du temple in Paris? You only see the man getting his shoes shined. Everyone else is invisible. Cheers, henry j.